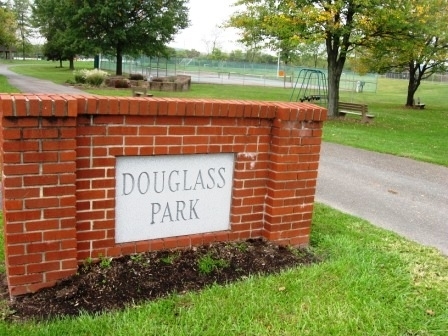 Douglass Park in Douglass Township, Montgomery County provides recreation to the area’s 10,000 residents in this community that spans Gilbertsville, parts of Boyertown and the surrounding towns between Boyertown Borough and New Hanover Township. The park sits just behind the municipal building and offers a wide variety of possibilities for recreation for visitors of all ages. I had been to the park a few years ago, for an end-of-the-year preschool party and remembered my son and his friends enjoying the playground and the puddles that had formed after a recent rainstorm. But, I now realized, I had only seen a small part of the park that day because we had stayed close to the pavilion near the parking area. 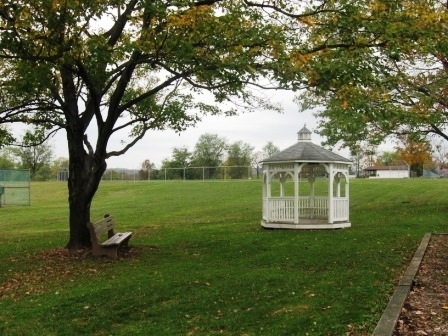 On my recent visit, I walked the trail that follows the outer edge of the park, past the playground and the gazebo and alongside the baseball field. As the path turned another corner, I walked past a soccer field and toward two more pavilions (conveniently numbered “2” and “3”). There were a few people playing tennis on the courts, even though a light rain had started just as I arrived. 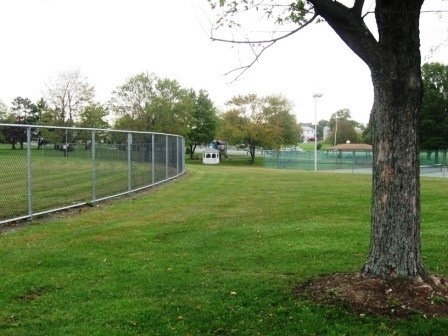 The tennis courts are a great asset as most of the other parks in the area don’t offer these among their facilities. There are two full-sized courts and a wall for practicing. Another playground sits closer to the soccer fields, which is great for those younger siblings who get dragged along to their older siblings’ soccer games. The smaller of the two playgrounds is also situated closely to the smaller pavilions. As the path took me back to the park entrance, I noticed a basketball court next to the gravel parking lot and very close to the largest pavilion. One of the best features of this park is its location. So many times, I find myself running errand after errand and oftentimes my kids are along for the ride. 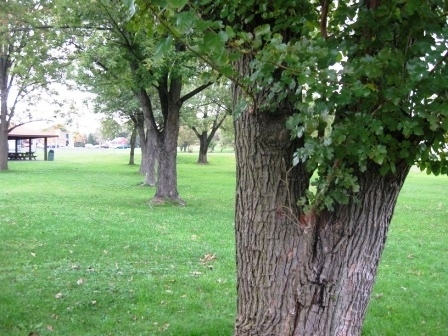 A quick stop at this park could be just what they need to run off some energy after a seemingly endless trip to the grocery store or Wal-mart. Douglass Park in Montgomery County is worth the trip. 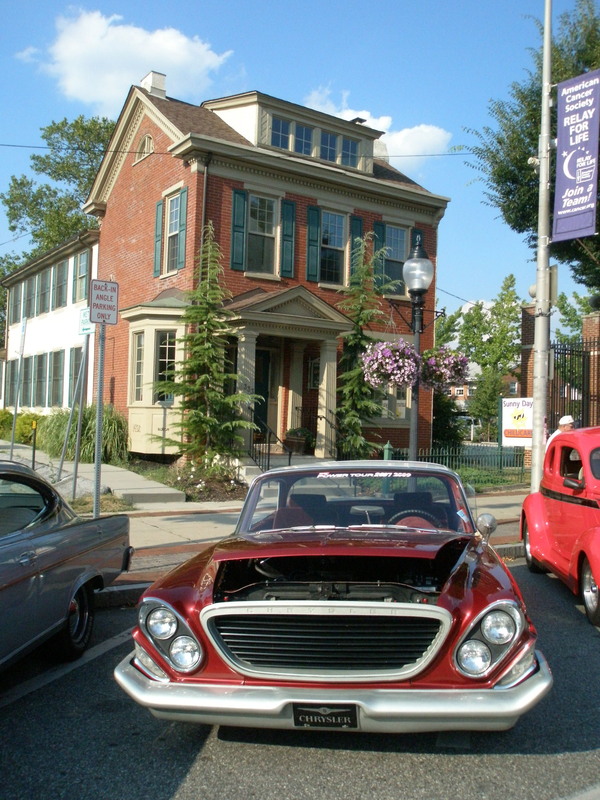 Suitability: With all the park offers, visitors of every age can enjoy Douglass Park. The main pavilion is situated very close to the parking lot which makes for great accessibility. 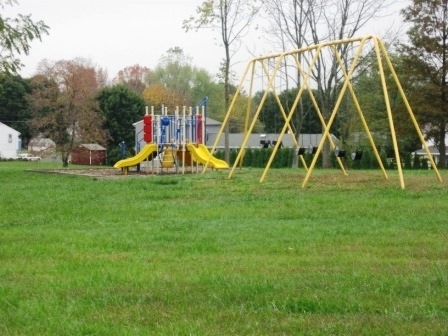 Facilities: Playground, pavilions, picnic tables, grills, tennis courts, benches, gazebo, walking or running trail, basketball court, baseball and soccer fields, large open spaces. Activities and tips: Bring a tennis racket and a friend and play a game or two, or just use the wall near the courts to practice your volley. Pack a lunch and bring the kids to the park; they will have enough to do for several hours. 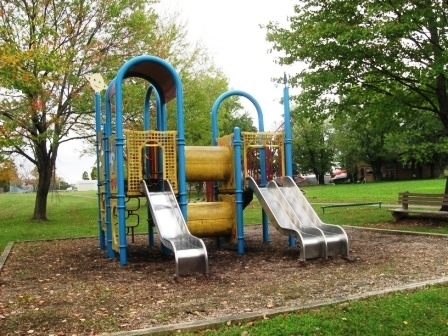 Childhood obesity declared national epidemic: Take your child to a park today!